Research professors at the School of Music are engaged in fascinating areas of research. These include the study of music in the Western European tradition, popular and film music, contemporary music, critical performance, and piano pedagogy research. 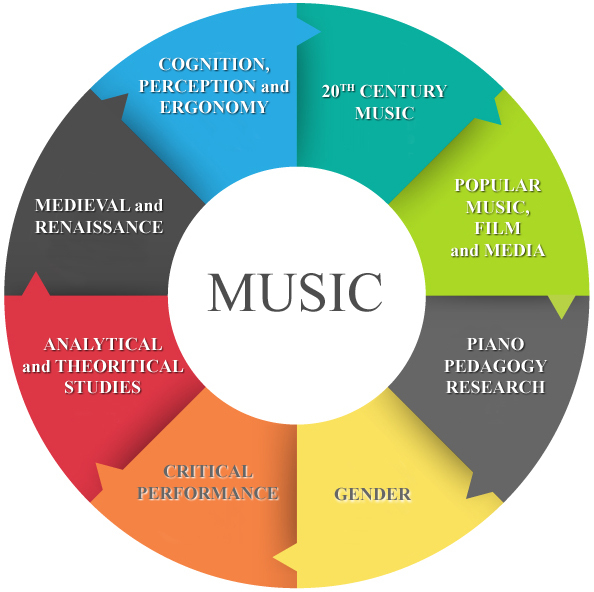 We approach the study of music from different perspectives, such as historical musicology, music theory and analysis, cognition and perception, gender, and performance. Lori Burns is Professor of Music at the University of Ottawa. Her interdisciplinary research, funded by SSHRC (1997-2000, 2002-05, 2007-10, 2013-18), merges cultural theory and musical analysis to explore representations of gender in the lyrical, musical and visual texts of popular music. She has published articles in edited collections published by Oxford, Garland, Routledge, and the University of Michigan Press, as well as in leading journals (Popular Music, Popular Music and Society, The Journal for Music, Sound, and Moving Image, Studies in Music, Music Theory Spectrum, Music Theory Online and The Journal for Music Theory). Her book on popular music, Disruptive Divas: Critical and Analytical Essays on Feminism, Identity, and Popular Music (Routledge Press, 2002) won the Pauline Alderman Award from the International Alliance for Women in Music (2005). She is the co-editor of Tracking Pop, a series of monographs on popular music, published by the University of Michigan Press. Gilles Comeau co-ordinates the piano pedagogy and the music education sectors. 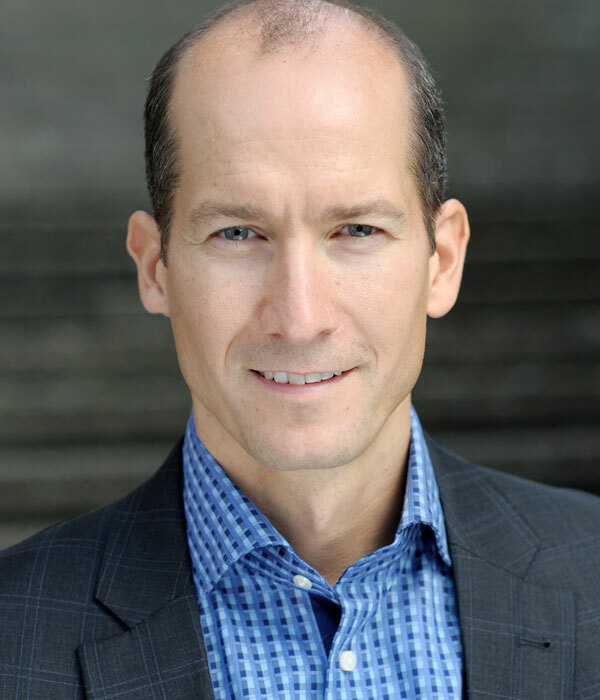 Dr. Comeau has been the beneficiary of many research grants, including a large grant from the Canadian Foundation for Innovation to set up a state- of-the-art research laboratory in piano pedagogy. As head of this infrastructure, he has established partnership with many other research laboratories and research institutes and is the director of the Piano Pedagogy Multi-disciplinary Research Group which gathers researchers from 12 different disciplines. He has authored many books, over 20 education kits to be used by music and arts teachers, and has written various scholarly research papers in music education and in piano pedagogy. He conducts research on various aspects of piano learning and piano teaching: music reading, motivation, piano-playing health injuries, physical aspect of piano playing, video-mediated learning. Music education: cognitive psychology: Dalcroze, Orff and Kodaly methods. Murray Dineen's research interests lie in music theory (counterpoint, chromatic harmony and analysis, musical form), musical performance (expertise, mental preparedness), music aesthetics (musical reception), and music in culture (Marxist critiques, affect, Adorno). He has held several research grants from SSHRC. An active and longstanding member of the Canadian university music community, he has edited journals, organized conferences, and served on national adjudication bodies. His recent work includes articles and conference papers on species counterpoint, on Wagner and the French theorist Alain Badiou, and on musical affect. A book on Adorno and music was published in 2011. 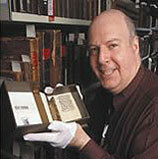 Full Professor Paul A. Merkley has published books and articles on early music and film music. A fellow of the Royal Society of Canada, Faculty of Arts Professor of the Year (2002) and winner of ASCAP's Deems Taylor award, he teaches not only in the School of Music, but also in the programs of Medieval and Renaissance Studies and the M.A. in World Cultures. Dillon Parmer is Associate Professor of Musicology. His groundbreaking research on programmatic aspects of the music of Johannes Brahms is published in prestigious journals (19th-Century Music, Journal of Musicology, Current Musicology) and is recognized internationally. 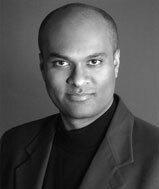 He is a tenor soloist with performing experience in over 70 oratorio, concert, and operatic roles. He has appeared with as a guest soloist with Opera Lyra Ottawa, I Musici de Montreal, the Nathanial Dett Chorale, Seventeen Voyces, Thirteen Strings, Gatineau Chamber Orchestra, Musica Divina, L'orchestre symphonique de Trois-Rivières, Timmins Symphony Orchestra, L'orchestra symphonique du nouveau monde, Choeur classique de l'Outaouais, Canadian Centennial Choir, Opera Breva, and Productions lyrique de Gatineau. As such his research interests have naturally turned towards the uneasy relationship between music scholarship and musical performance. This turn not only develops cutting-edge research grounded in the performed experience of music (critical reflection from performance), but also uses such reflection as a basis for critiquing conventional types of music research. This line of thinking has been well received at national and international conferences and is appearing in print in more radical journals (repercussions, Intersections). He is currently working on a book entitled "Facing the Music: A Performer's Guide to (Debunking) Academia." 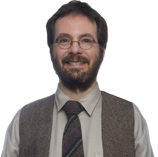 Christopher Moore is Associate Professor of Musicology at the University of Ottawa. His research focuses primarily on French music of the twentieth century which he examines in relationship to questions of criticism, style, gender, identity, and politics. His writings have been published and/or are forthcoming in The Musical Quarterly, 19th-Century Music, The Journal of Musicological Research, Music & Politics; Intersections: Canadian Journal of Music and the Cahiers de la société québécoise de recherche en musique among others. In 2012 he received the Philip Brett Award for his article, "Camp in Francis Poulenc's Early Ballets." He is currently working on a book that investigates the relationship of gender and sexuality to musical style and aesthetics in France during the 1920s and 30s. 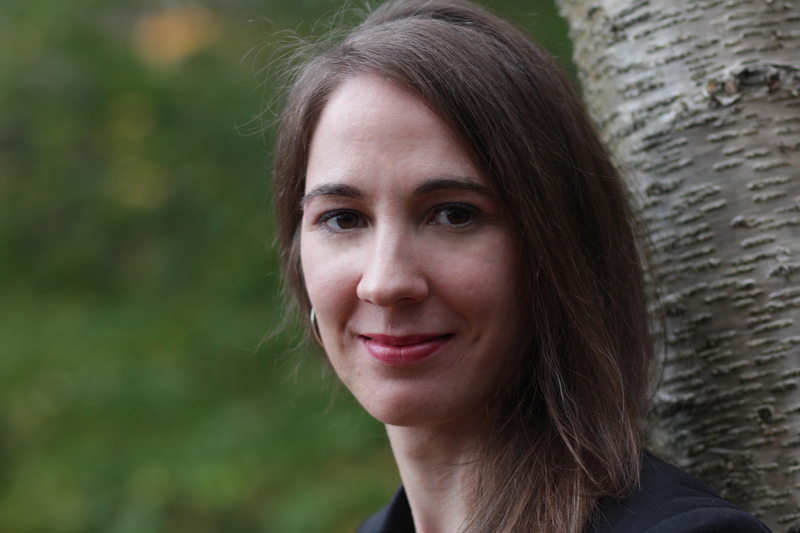 Julie Pedneault-Deslauriers (PhD 2010, McGill) is Associate Professor of music theory. Her research centers on issues of musical form, the music of Clara Wieck-Schumann, and the late tonal and atonal works of the Second Viennese School composers. Her writings have appeared or are forthcoming in leading journals including Music Theory Spectrum, the Journal of the American Musicological Society, Music Theory Online, the Journal of Musicology, Integral, and the Journal of Schenkerian Studies, as well as in edited collections. She has co-edited the collection of essays Formal Functions in Perspective: Essays on Musical Form from Haydn to Adorno (with Steven Vande Moortele and Nathan John Martin). She was the 2015-16 winner of the “Emerging Scholar” prize from the Société québécoise de recherche en musique. 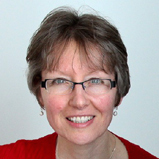 Associate Professor Roxane Prevost teaches music theory and analysis at the University of Ottawa. Her research interests include post-tonal music, rhythmic theories, and the music of Canadian composers. 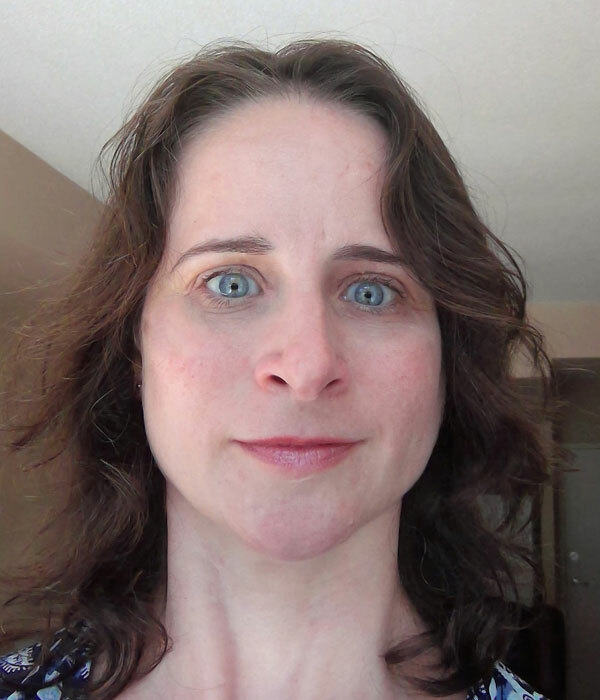 She has published articles in Intersections, Ex tempore, the Journal of Music Theory Pedagogy, Musurgia, Australasian Canadian Studies, and the International Journal of Contemporary Composition; she has presented at conferences in Canada, the United States, and Europe. She is currently a voting member of the Ontario Region of the Canadian Music Centre (CMC) and is treasurer for the Canadian University Music Society (MusCan).